In the previous articles in this series, I have shown that God has revealed himself to be three in person, but one in nature. The persons of the Trinity are the Father, the Son, and the Holy Spirit. Who is the Father? Does God, the Father, really have a big white beard, and look like an old grandfather? Have you ever stopped and thought about it? What image comes to mind when you think of the Father? Forget the big white beard, when you picture the father, what color of skin does he have? Do you even picture a body? Does he have a body? Is it wrong to picture God this way? I think most people picture a human father figure when they hear mention of God the Father, and God the Son. This makes sense because we are taking the experiences we know from our human families and applying them all to God. When it comes to God the Holy Spirit, however, we usually don’t have a mental image of a body in our heads. Often times, we don’t picture anything, which is rightfully so, because spirits are not objects. But in all honesty, all three, God the Father, Son, and Holy Spirit, are by nature Spirit, and do not have bodies. John 4:24 says, “God is Spirit.” However, Jesus, the Son, assumed a human nature. So Jesus, now and forevermore has a human body. The Father and the Holy Spirit do not. Many Christians can easily recognize that God as a Father is good, that he does give to us generously, that he cares for us, and that he meets our needs. But for some Christians, and for many who are not Christians, this is hard to understand because they did not have an earthly father, or their earthly father was abusive, or negligent, or unloving, or distant. If that happens to be you, I highly recommend Donald Miller’s book, Father-Fiction, which was previously entitled To Own a Dragon. 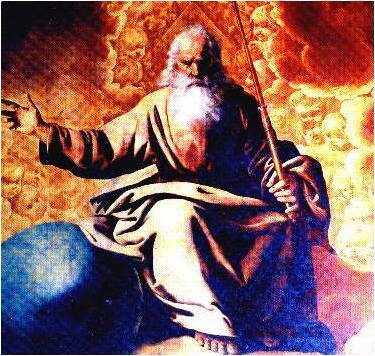 Posted in What is in the Bible, Who is God?Tagged God the Father, James 1, Malachi 2:10, The Father, Who is God? Previous Post Don’t All Religions Lead To God?